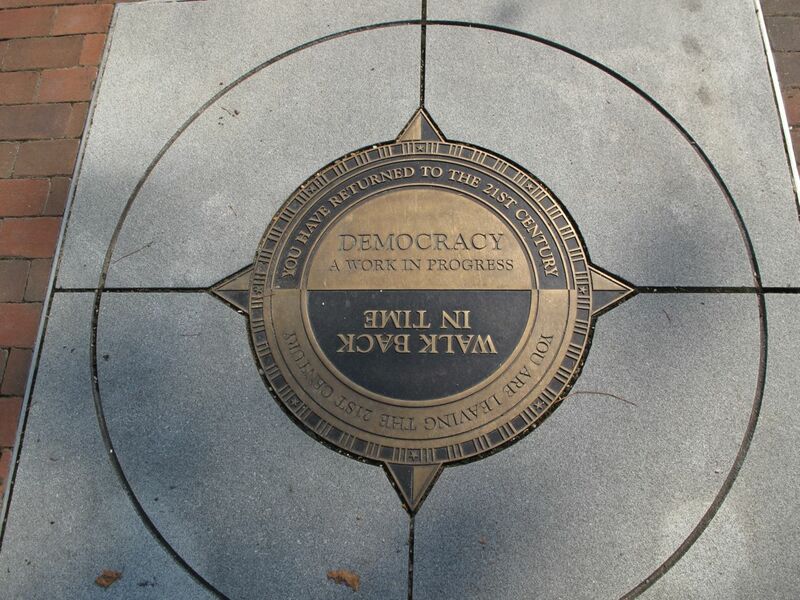 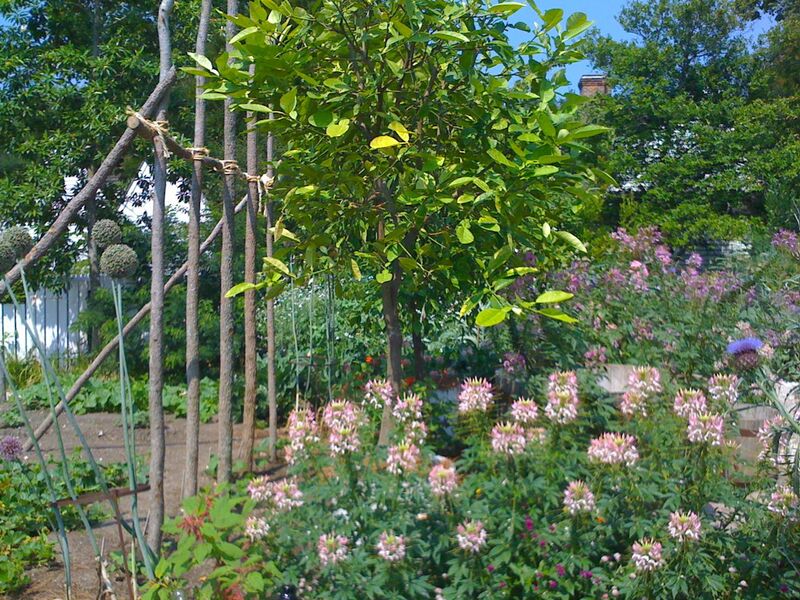 During an enjoyable trip last week to Historic Colonial Williamsburg in Virginia, one highlight was visiting the Colonial Garden on Duke of Gloucester Street. 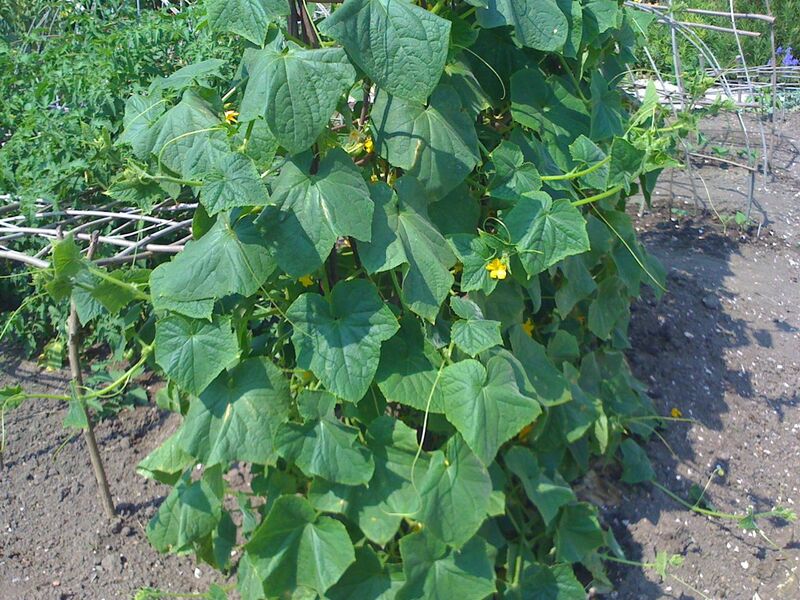 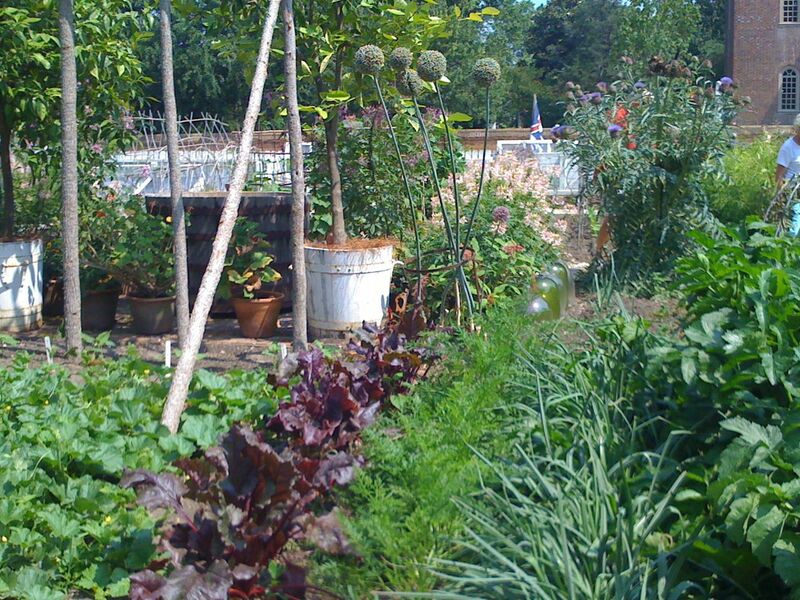 There we had a chance to speak with the garden’s founder, Wesley Greene, who has recently authored the book, Vegetable Gardening the Colonial Williamsburg Way: 18th-Century Methods for Today’s Organic Gardeners. 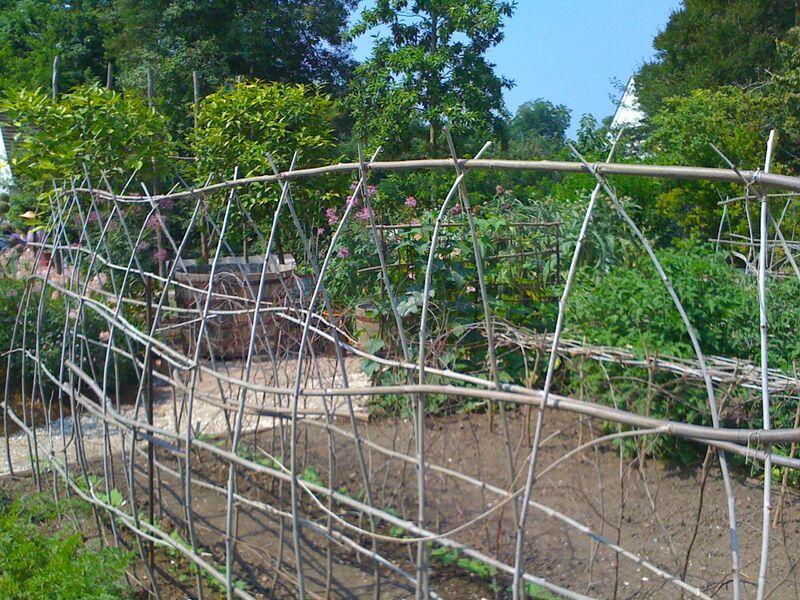 Dressed in eighteenth-century garb, Greene was quite friendly and generous in sharing his time and knowledge. 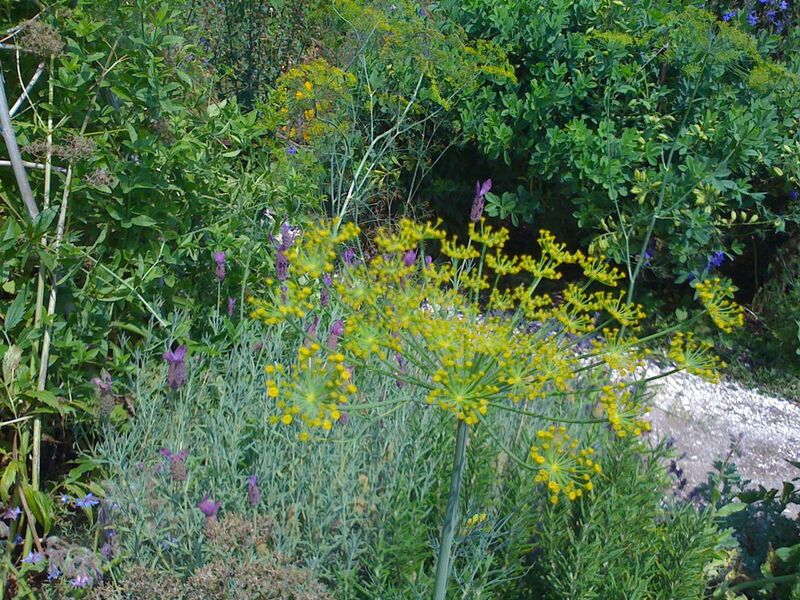 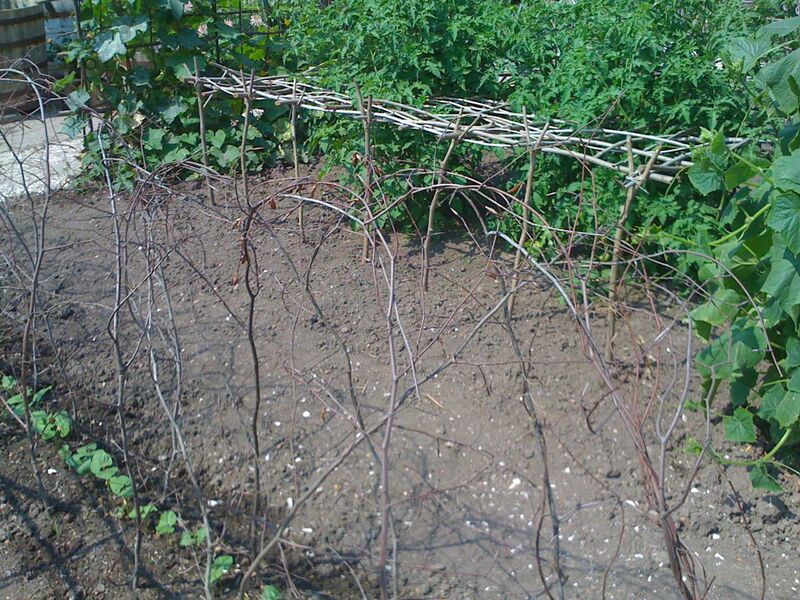 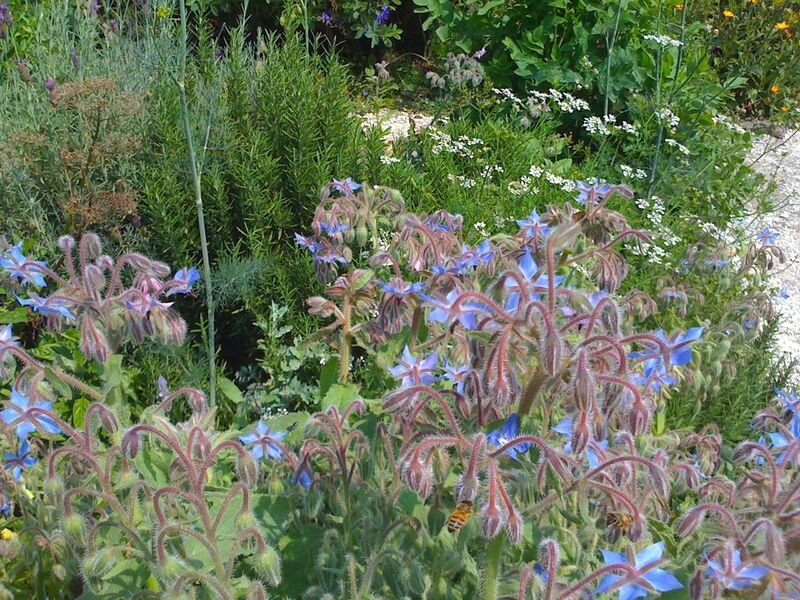 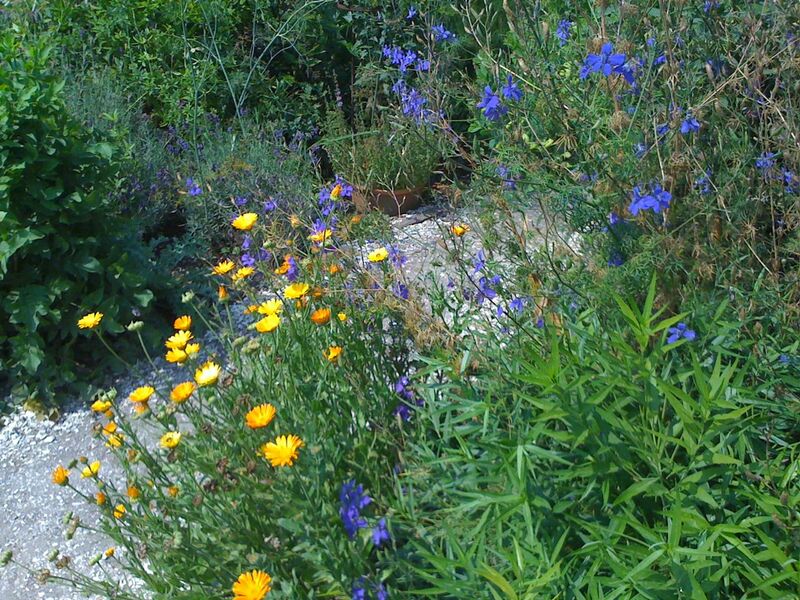 The garden, which I have seen many times, seemed especially compelling this time. 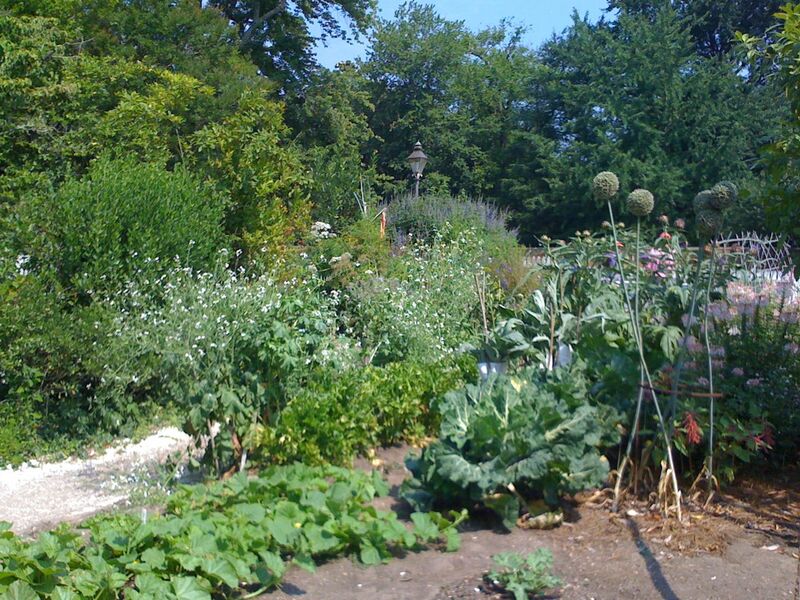 Researched and planted to accurately represent the colonists’s choice of vegetables and growing methods, this productive garden was irresistible in its beauty. 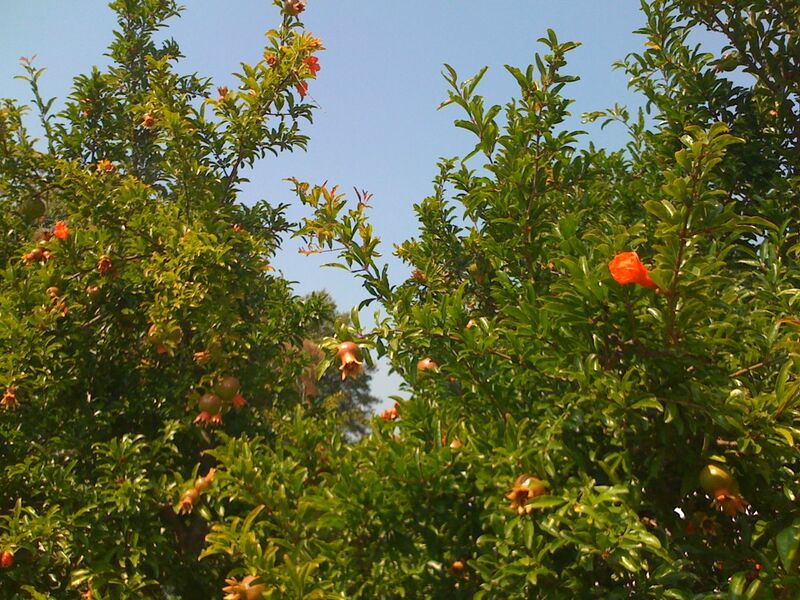 Pomegranate trees orange with flower and fruit were first to catch my attention. 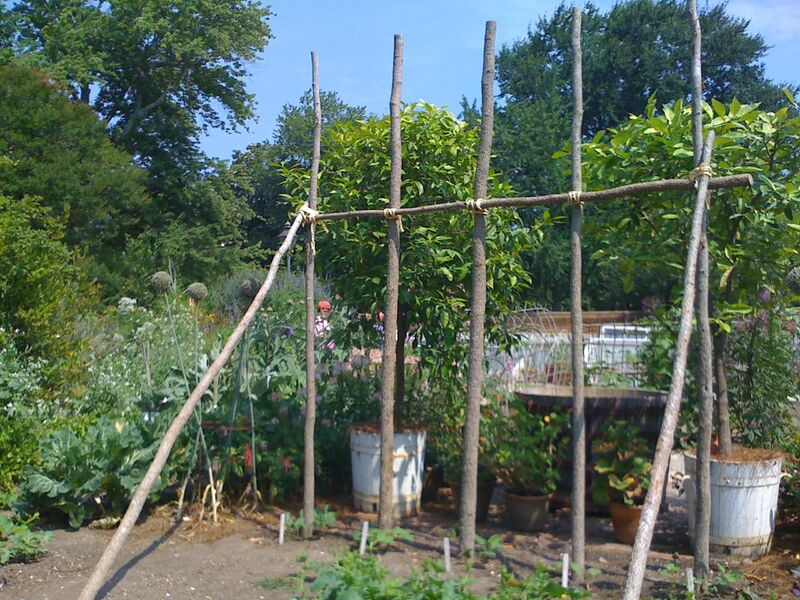 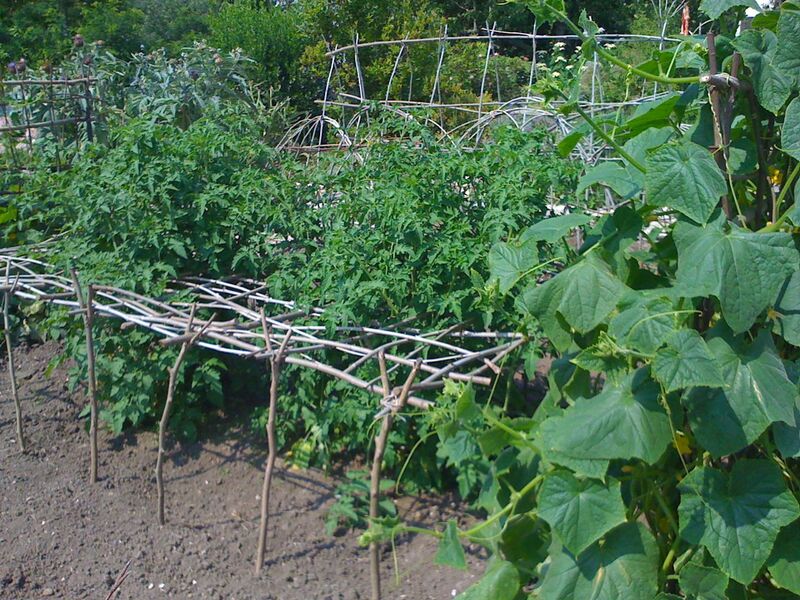 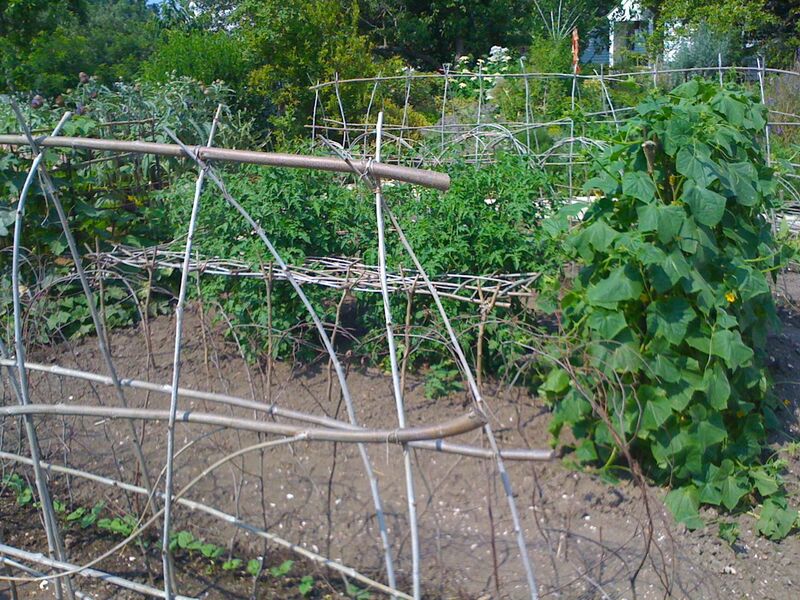 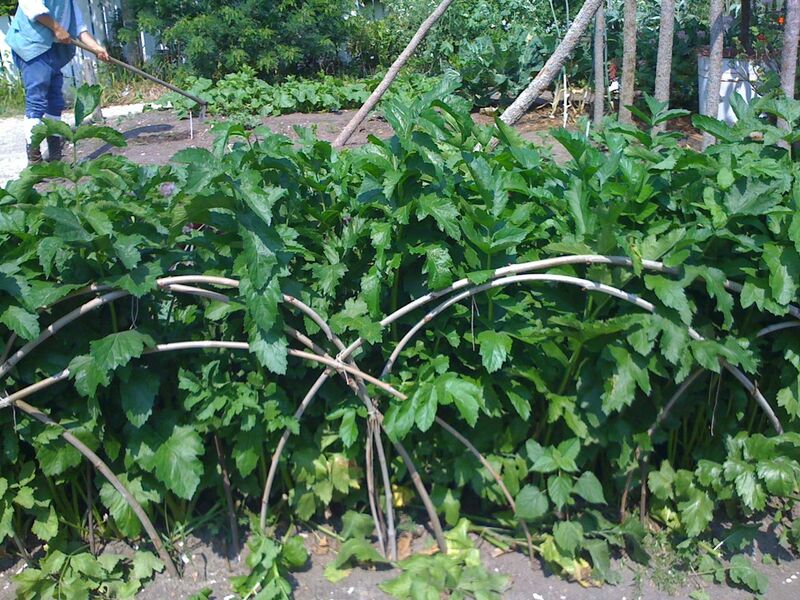 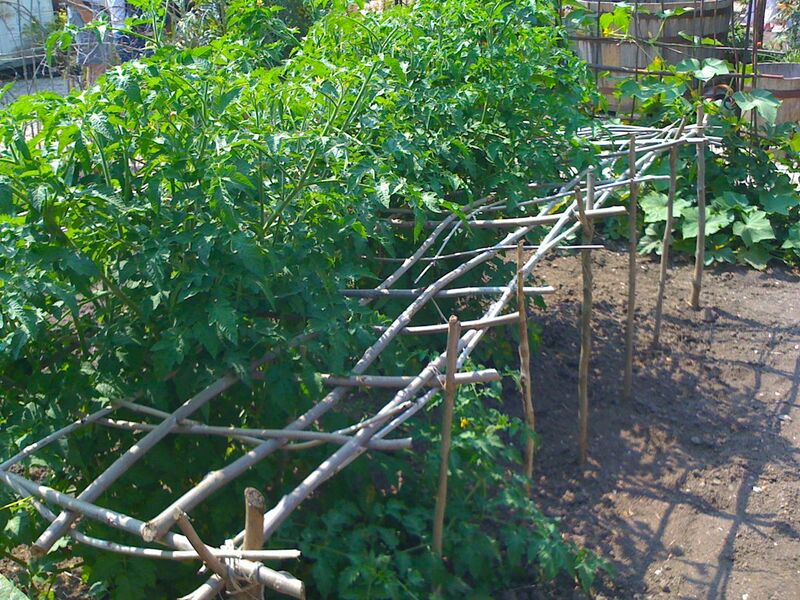 Woven supports for the vegetables were artistic as well as practical and that notion of craftsmanship carried throughout the garden. 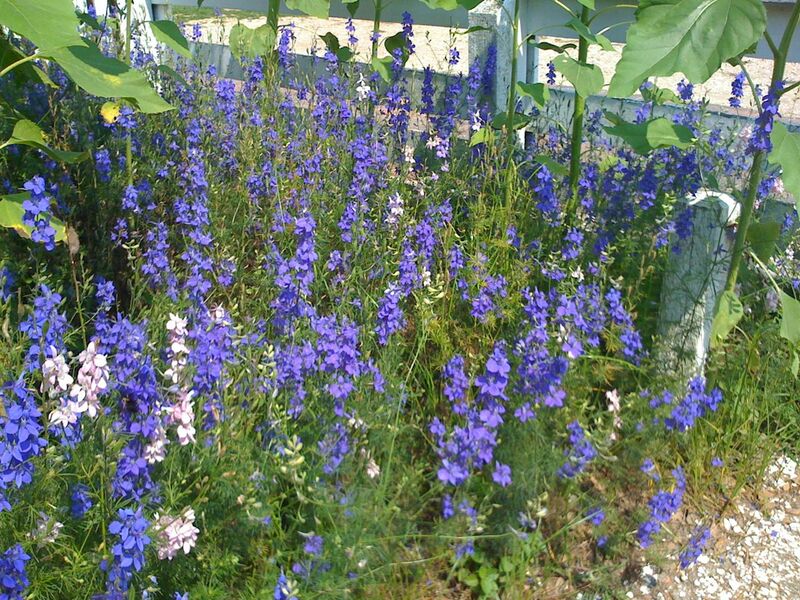 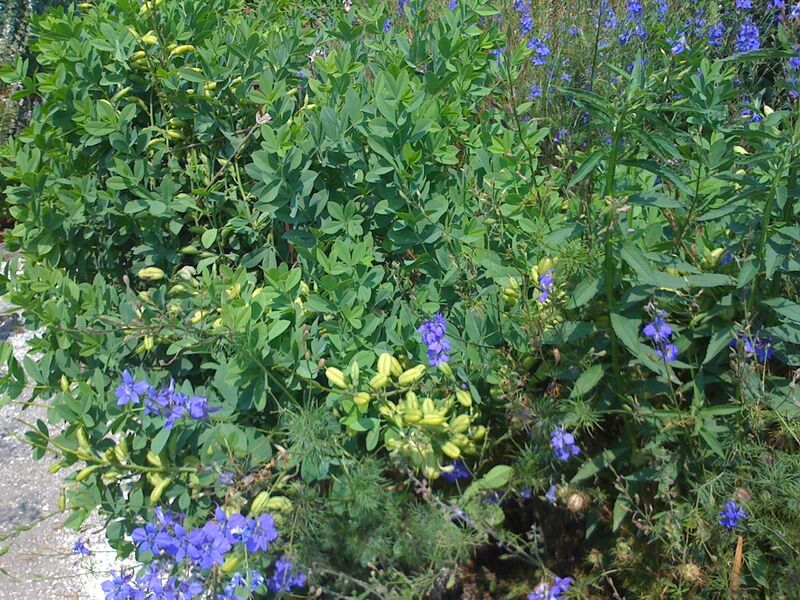 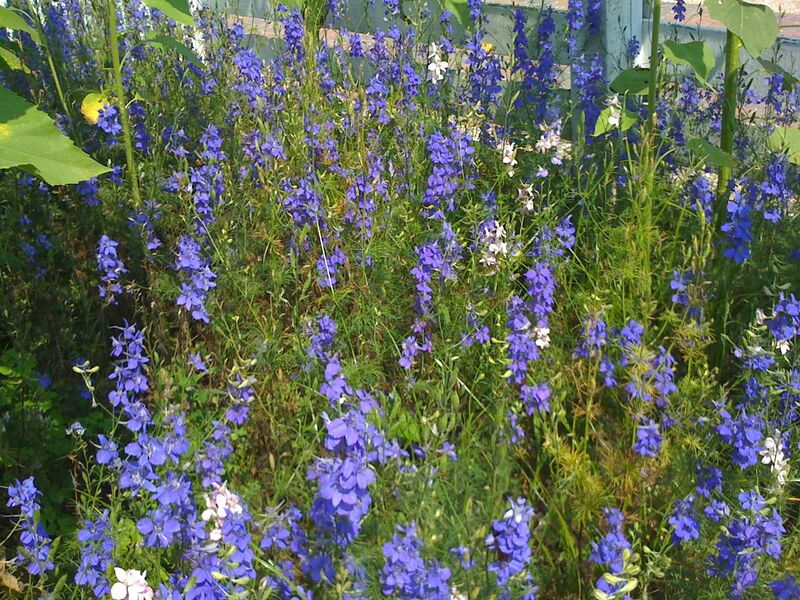 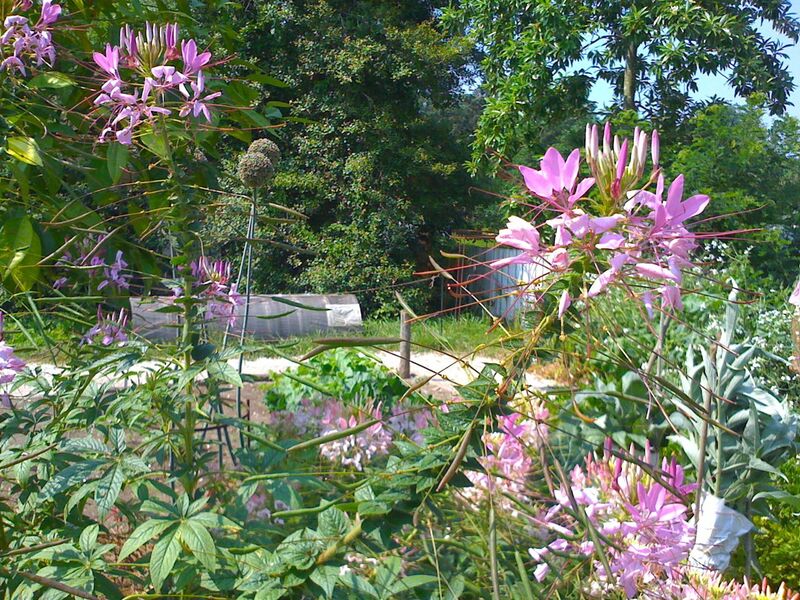 There were lovely Cleomes, back in the garden for the first time in many years, according to Greene, now that archaeological evidence in another Virginia garden has confirmed it was planted during the timeframe covered by Colonial Williamsburg. 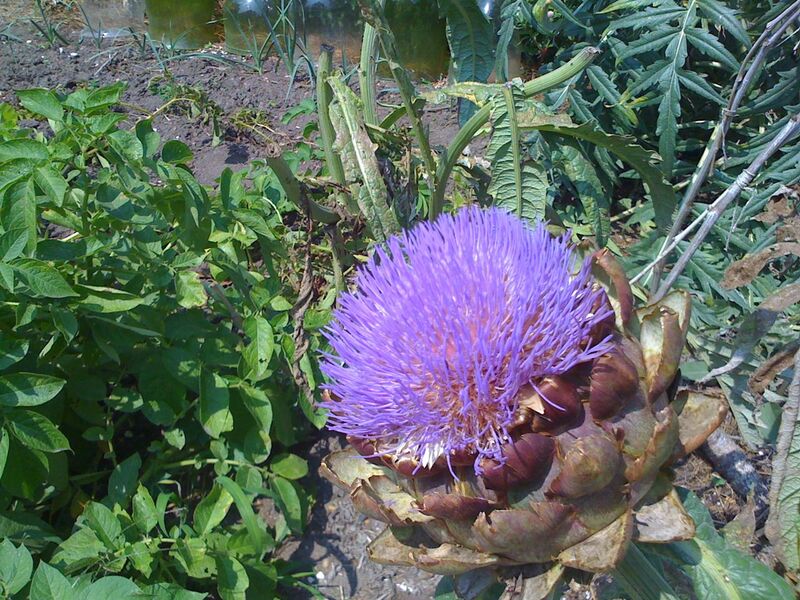 Nearby was the exotic-looking cardoon. 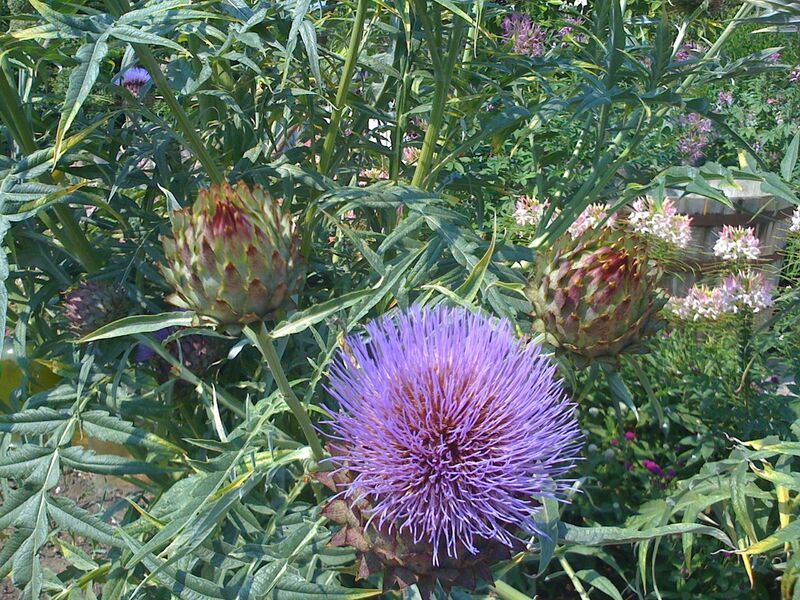 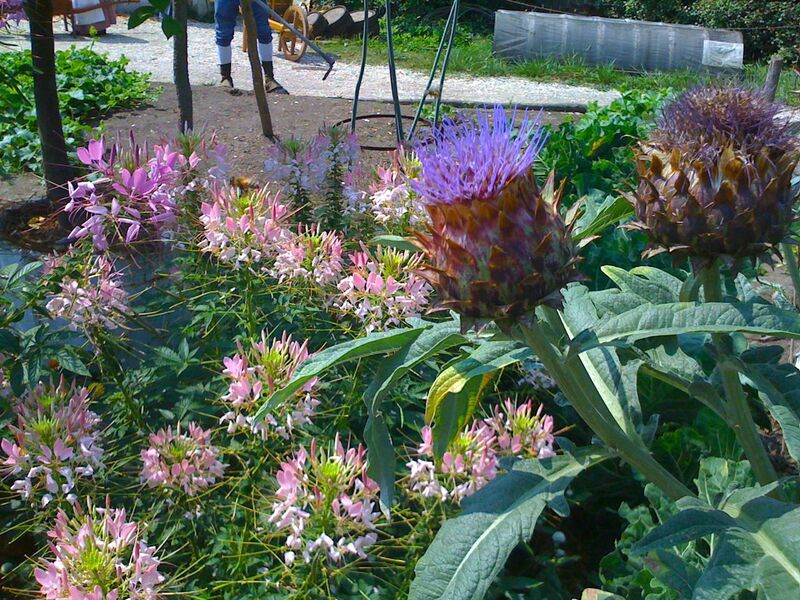 Cardoon, it was explained by one of the garden’s helpful Colonial interpreters, is an ancestor of the modern artichoke. 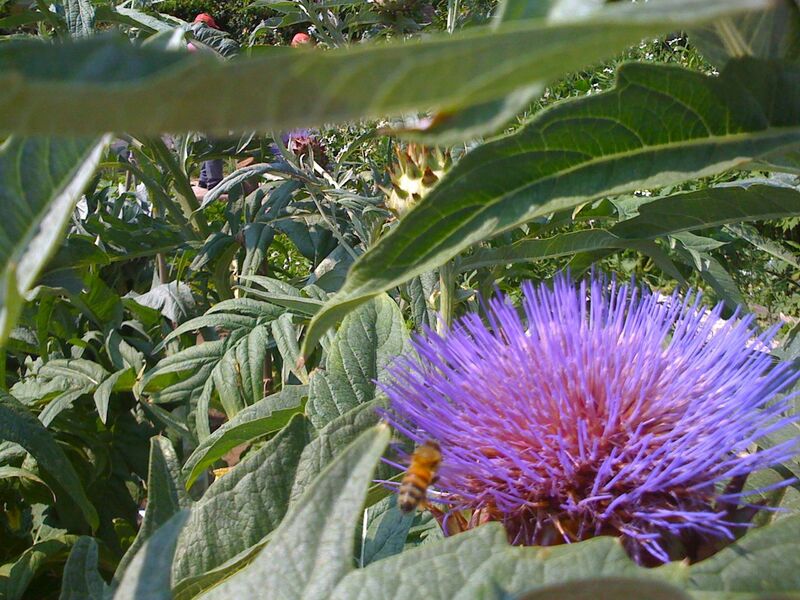 The leaves of the cardoon plant would be stripped away, leaving the stalk to be eaten somewhat in the manner of celery today. 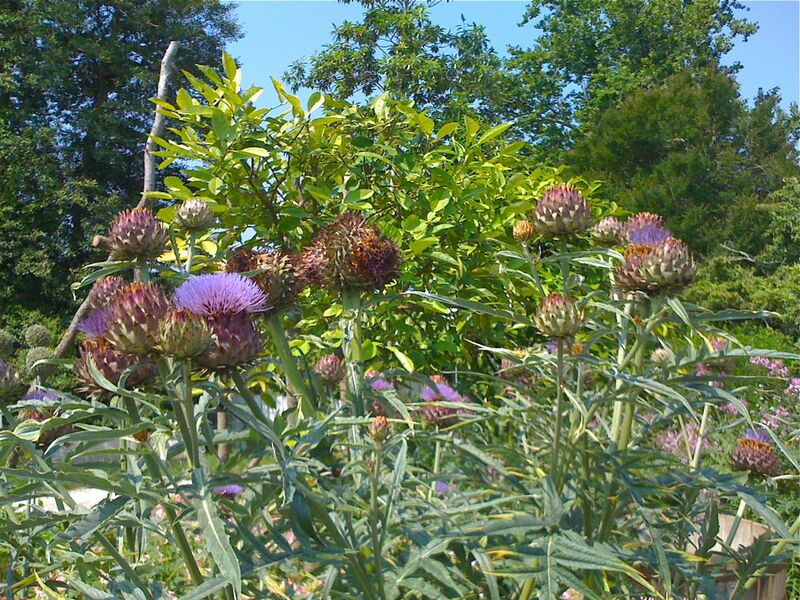 The combination of vegetables, herbs, flowers and history made the Colonial Williamsburg garden an inspirational garden to explore. 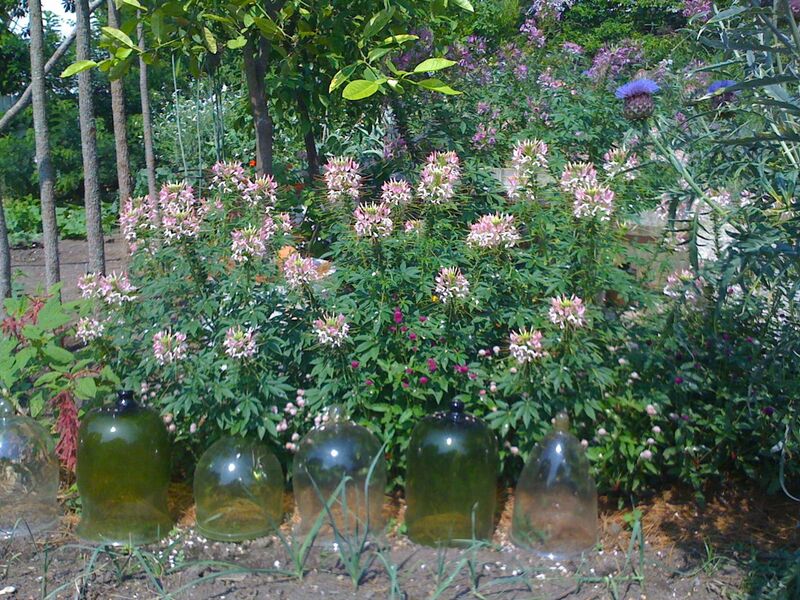 Note: View each of the galleries in this article at a larger format by clicking on one of the images within a set. 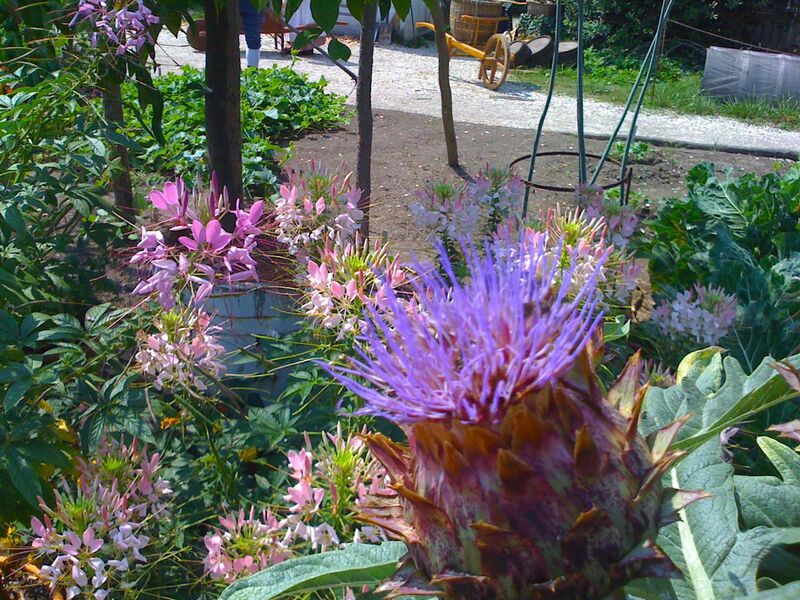 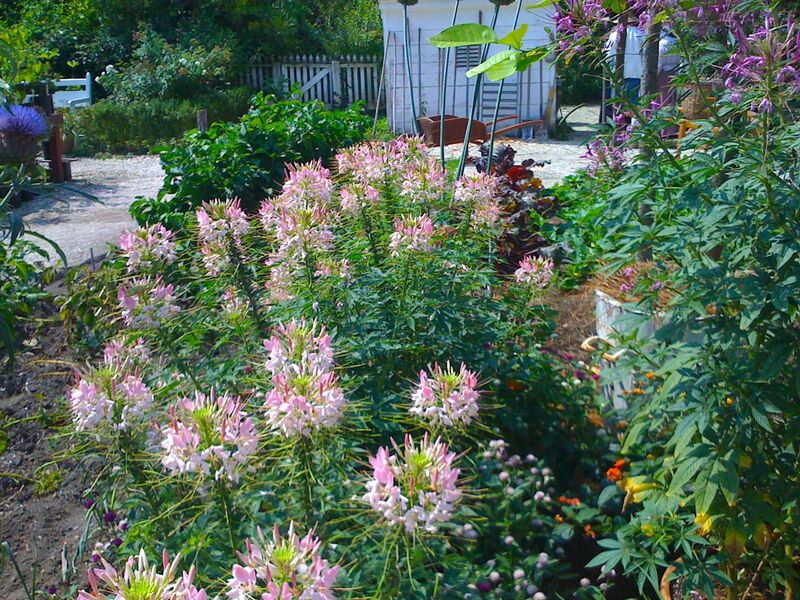 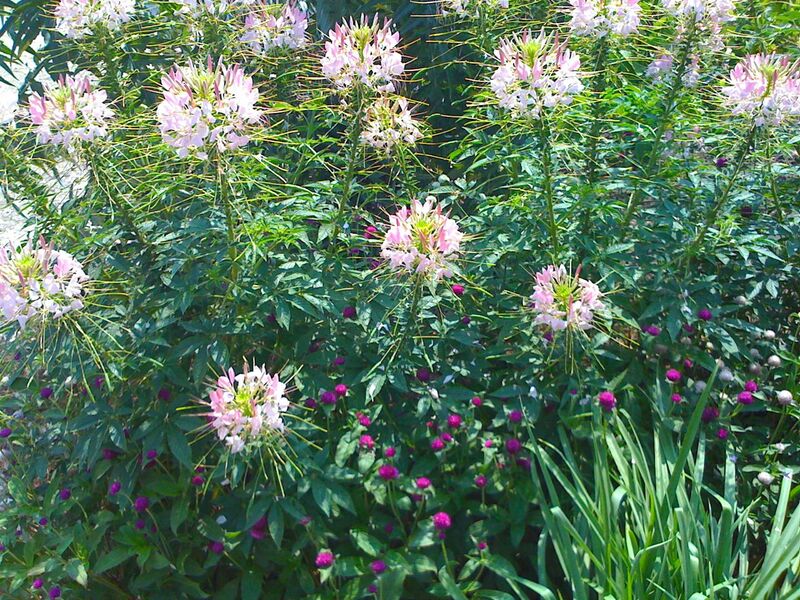 This entry was posted in garden and tagged Cardoon, cleome, Colonial Williamsburg, favorite gardens, garden photography, historic garden, Pomegranate, Wesley Greene on June 28, 2012 by pbmgarden.